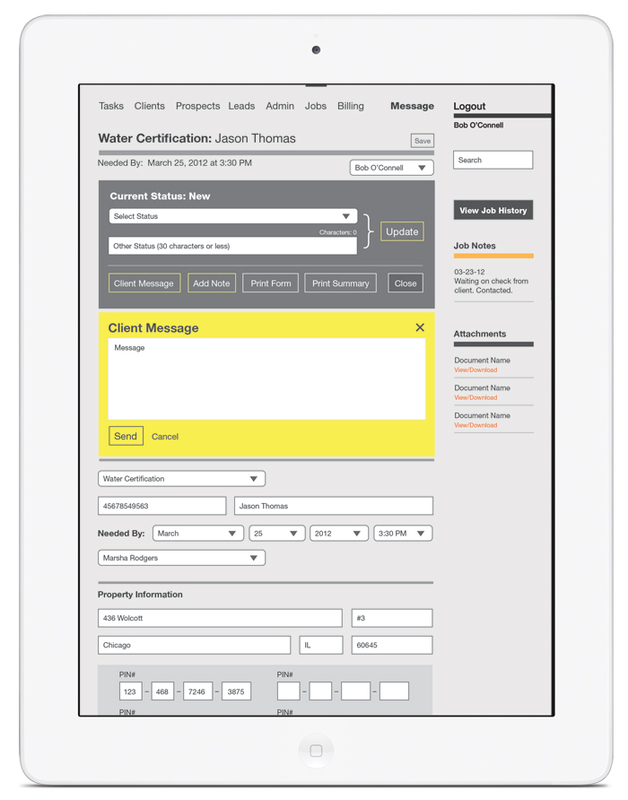 Collaborated with designer and company to create a job tracking system for LR. 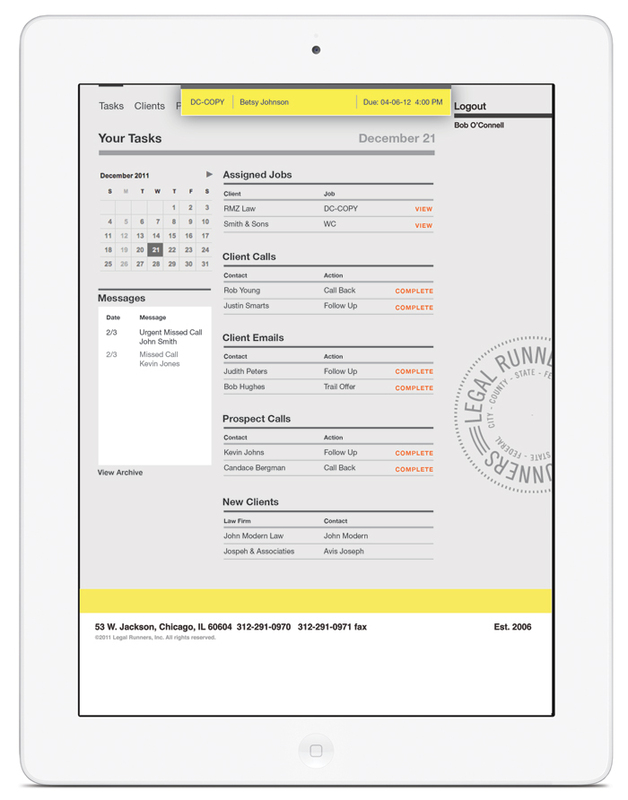 Includes client portal, as well as interface for runners to access on their tablets in the field. Pictured above is a dashboard screen for employees listing the business’ tasks. Also, includes real-time notifications of new jobs as they come in. 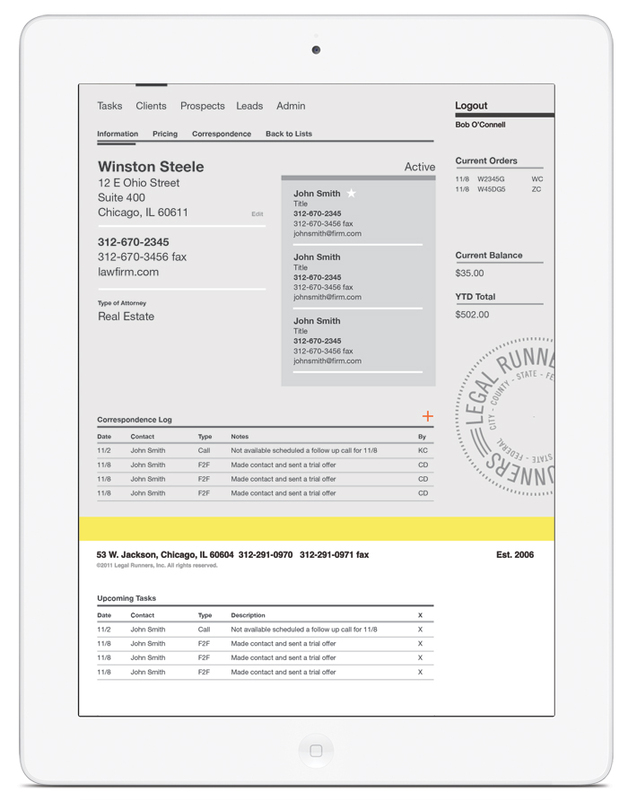 Project included a custom CRM to track clients and their complete history with the company. Custom forms were built for the various types of jobs that were stored in the database and could be printed through the web application onto various types of government forms.